This week Israel remembers the assassination of Yitzchak Rabin 21 years ago. Though the Arava Institute was founded a year after his assassination, the Institute was born in the spirit of optimism about the opportunity for peace which the Oslo Accords afforded. The paradigm of an irresolvable conflict between irreconcilable sides was replaced by a new ideal of cross-border cooperation on security, economics, development, environmental protection and natural resource management. Unfortunately, the Oslo Accords, which were only meant to serve as an interim 5 year agreement collapsed with each side pointing a finger at the other for the Accord’s failure. Since the beginning of the Al Aqsa Intifada, the second intifada, a new paradigm has taken hold of the Middle East; most agree that a two state solution is the only answer but neither side trusts that the other side can be a true partner for peace. At the Arava Institute, we believe that trust is only built in face to face encounters, whether between students studying together for a final exam or between heads of state trying to reach an agreement. 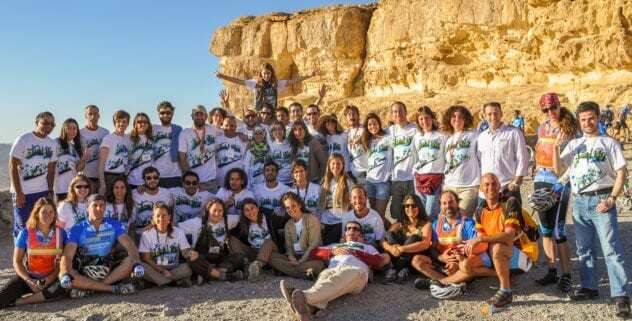 For 20 years, the Arava Institute has advanced cross-border environmental cooperation by bringing together Palestinian, Israeli, Jordanian and international students and researchers to work together to protect precious shared natural resources such as water, clean air, energy resources, biodiversity and open spaces. With the launch of the Track II Environmental Forum, the Institute is now taking the lessons learned from 20 years of experience building trust between Middle Eastern students and researchers, and applying it to meetings between decision makers in the region. Over the next year, working groups on renewable energy, wastewater treatment and climate change established during the first annual Cross-border Environmental Cooperation Conference held at the Arava Institute in September, will continue to meet in places around the Middle East. These working groups, which include academics, activists, experts and policy makers, will bring their proposals to the second Cross-border Environmental Cooperation Conference scheduled for September 2017 proving that agreements are possible once trust has been established. I am writing this November Blog from the Lobby of the Ramat Rachel Hotel in Jerusalem where the 2016 Israel Ride is launched. We are expecting 177 Riders and 12 participants in the Chaverim Tour. It will be the Arava Institute and our partner Hazon’s largest ride which supports the missions of both organizations. The participants in this year’s ride, as every year, have the opportunity to see firsthand the camaraderie of our alumni who crew the ride, many coming back year after year. The fact that a group of Palestinian, Israeli, Jordanian and international alumni can get almost 190 people safely from Jerusalem to Eilat on bikes while having the time of their lives, is further proof that where there is trust there can be cooperation.